Mecinar was a Dunmer Clockwork Apostle and apprentice to Sotha Sil who was said to have the potential to rival them all. He would become ambitious in his research and resorted to inhumane experiments that involved modifying Acolytes against their will. He perverted Sotha Sil's goal of the creation of the perfect life form and created Abominations, a combination of steel and sorcery similar to Fabricants, but went a step further and merged them with beasts. As a result of his experiments, Mecinar was cast out of the Clockwork City. He would then plot to return to the Clockwork City to continue his vision of creating the perfect life form. In 4E 201, his plan was set into motion when the Forgotten Hero along with their adventuring party tracked Barilzar's Mazed Band to Forelhost in the Rift. Treasure hunters in the Mecinar's employ were able to steal it from them and used it to enter the Clockwork City. The Forgotten Hero's adventuring party entered the Clockwork City in pursuit of their friend, an Argonian named Swims-at-Night, who would not give up his prize and reached out and grabbed the treasure hunters while they were using the ring and was teleported into the city along with them. Once inside, the heroes rescued their friend and recovered a memory star of Sotha Sil. What would turn from a simple rescue mission would turn into a race against time, as the star revealed the powerful device known as the mechanical Heart of Lorkhan. The heroes decided to go further into the city to prevent the Heart from falling into the wrong hands. Good intentions would have disastrous results, as Mecinar waited from the shadows until the heroes unsealed the Chamber of Lorkhan which held the heart, and then entered and basked in divinity of the heart. the heroes escaped but would barely survive the encounter. After escaping, the heroes would come across a memory star which would reveal that Sotha Sil created his own set of Kagrenac's Tools which could control, shape, and even dismantle the heart. With this reveal, the heroes would journey to find the tools and would discover that meanwhile, the Mecinar was carrying out his plan of remaking the city in his own image and was turning its people into abominations. After being on the run from the fabricants, a brave sacrifice was made and the hero lost one of their friends. 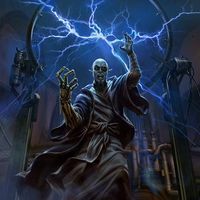 After acquiring Sotha Sil's tools that were hidden across Tamriel, the Forgotten Hero journeyed into the Chamber of Lorkhan where the heart was in order challenge the Mecinar. On the way there within the Inner Curiosity, they discovered that Mecinar used his newly acquired divine power, and turned the hero's fallen friend into an undead mechanical slave abomination who had to be put down by the Hero. The stories have different endings describing Mecinar's defeat. In one, the city was destroyed after the Forgotten Hero entered the Chamber of Lorkhan and destroyed the heart and the city's inhabitants were forced to abandon the city. In another, the Hero entered the Chamber and used it and basked in the divinity of the heart and fought the Mecinar on equal ground, and the Heart would live on, along with the city. The heart was too much for the hero and was disintegrated, with the rumor that the hero's consciousness lived on within the city. This page was last modified on 3 March 2019, at 11:27.